Toyota’s problems are what we’d call good problems. Just as the fourth-gen RAV4 was reaching the end of its production cycle, its popularity was on the rise. In fact, 2017 was a record year for the model, with more than 50,000 units sold in Canada. Wiping the slate clean and starting fresh seems like a risky move when sales are strong. And yet, that’s what Toyota did. Well, almost. The old RAV4 had a lot going for it. But good looks wasn’t one of them. Fortunately, the Japanese manufacturer scheduled the RAV4 for the same beauty treatment that recently rejuvenated its other products, such as the Camry. And now the model flaunts a different style for each trim level. The Trail is burly and robust, while the Limited is more luxurious and refined. 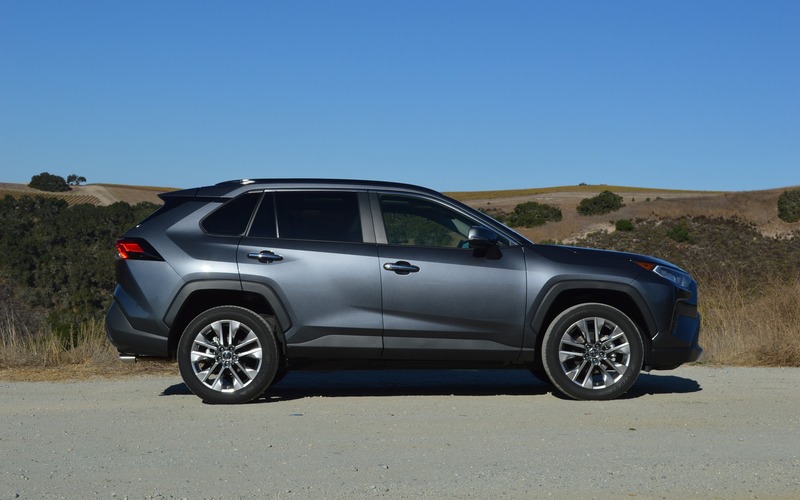 In other words, the 2019 Toyota RAV4 now has personality. If you think it bears a resemblance to the Jeep family, you’re not alone. A high-ranking official at Toyota has even admitted that the designers who worked on the fifth-gen RAV4 looked to the legendary off-road brand for inspiration. No joke! There are even orange touches in the cabin, just like you’d see in a more radical Jeep product. So, let there be no mistake: it’s clearly emulating Jeep. It’s obvious. They’ve admitted to it. And they’ve pulled it off pretty nicely. So why not? They didn’t venture off the beaten track where drivetrains are concerned. The 2019 RAV4 comes standard with a 2.5-litre four cylinder that used to produce 176 horsepower, but now delivers 203. The difference is noticeable—and much appreciated. Like before, a hybrid version (with a gas engine and electric motor) is still available, but its output has been ramped up from 194 to 219 horsepower. We had the chance to try this variant on a small off-road trail and were impressed with how easily it plowed through sand—it exceeded our expectations for a vehicle built with fuel economy in mind. Front-wheel drive comes standard, but all-wheel drive is obviously available (and we strongly recommend it). The RAV4 is anything but sporty. And that’s just fine. In fact, I give this vehicle full credit for not pretending to be something it isn’t—unlike some of its competitors. This vehicle is comfortable with what it is. You gotta love the authenticity. 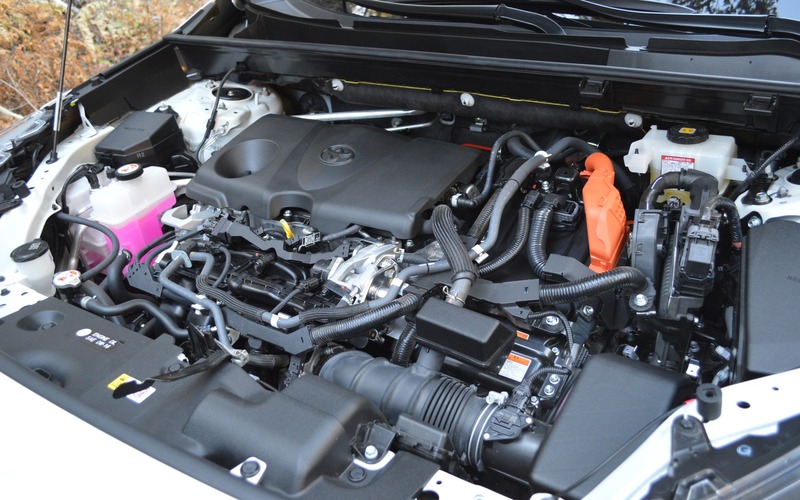 The new RAV4 deserves a round of applause for its increased power. And that’s doubly true when you consider that its fuel consumption has even gone down (according to the manufacturer). The official numbers for the conventional and hybrid versions aren't out yet, however. 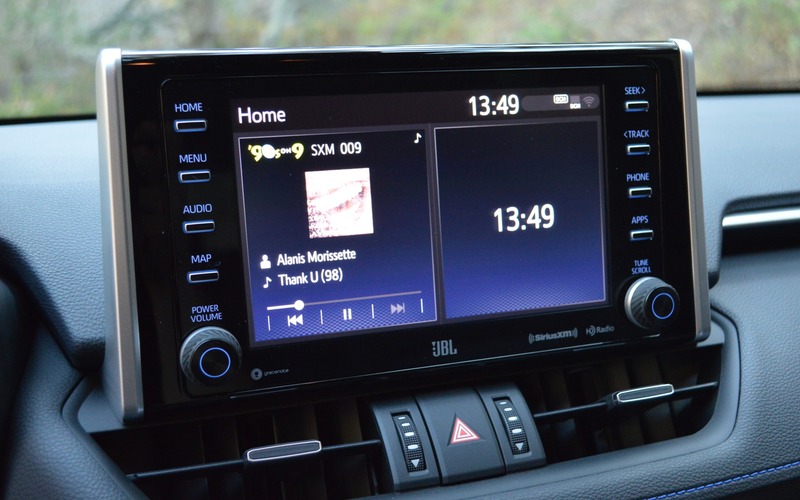 Toyota is stubbornly holding onto the Entune infotainment system even though it’s proving excessively hard to use in many of the brand’s vehicles. The navigation is definitely the least intuitive aspect. As proof, even a Toyota rep was unable to enter the destination address into the system. Instead, he advised us to go the old-school route and follow the instructions on a printed itinerary. On the bright side, Entune is compatible with Apple CarPlay. Unfortunately, the same can’t be said for Android Auto. Toyota is adding technology to win over younger buyers, but in doing so it is frustrating another segment of its customer base. Reliability is never an issue with Toyota, and neither is safety. Toyota Safety Sense comes standard in this vehicle, just like in the Toyota Corolla hatchback launched earlier this year. This includes a pre-collision system with pedestrian detection, dynamic radar cruise control, lane departure alert, automatic high beams and lane-keep assist. Whenever I am asked about compact SUVs, my answer tends to be short and simple: the Toyota RAV4. Why? Because I know that I can sleep with peace of mind after making this recommendation. There’s no such thing as the perfect vehicle, but the RAV4 comes close. It’s reliable, safe, spacious and maintains an excellent resale value. 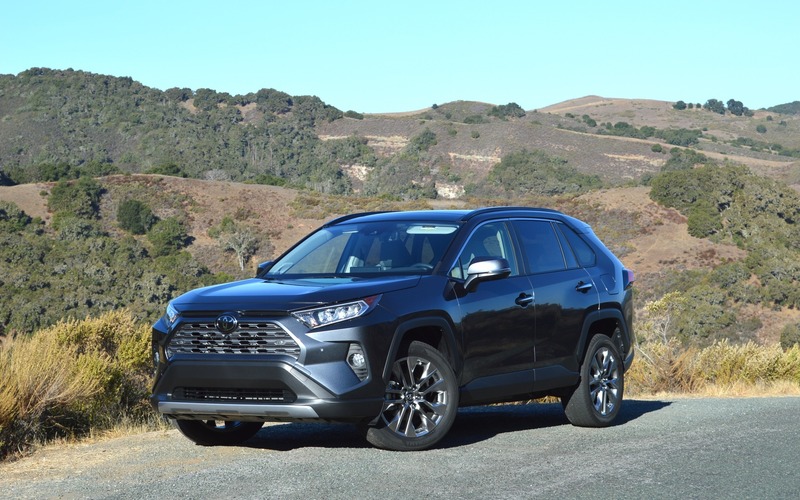 And while I was initially concerned about the 2019 Toyota RAV4, I quickly discovered that it still has what it takes to remain the segment’s forerunner. It will be available shortly for as little as $27,990 before freight and PDI. 7/10	The fuel economy ratings for Canada aren’t officially out yet. 8/10	Spacious in front and back. 8/10	Good marks for engine power (gas and hybrid). 4/10	The Entune system isn’t particularly intuitive. 6/10	The RAV4 has never been known for offering a transcendent ride. But it never claimed it did, either. 8/10	The RAV4 is a great buy, regardless of whether you get a new or used one.